10) If what you want doesn’t exist, go build it yourself: When Joseph Gordon-Levitt didn’t find what he was looking for—an online community to collaborate with other artists where all would share in the profits—he went out and created it. HITRECORD is the result. 9) Are B2B companies missing an opportunity when it comes to influencer marketing? : Influencer marketing expert Lee Odden explained that this approach is still not being widely used by B2B companies, meaning there’s a lot of running room for those who start now. 8) Newsletters are back: Scott Monty made a case for publishing your own newsletter, using his own popular The Full Monty as an example. Curation is one of the most important elements of a newsletter, says Monty, because it turns you into a tastemaker. 7) Set aside time each day to write: Now, this is one I already knew—and of course, I write daily for a living. But Ann Handley, bestselling author of Everybody Writes, made it clear that we should make a point to set aside that time to write—and honor it. She suggests writing when you’re fresh at the beginning of your day, before it gets hijacked by meetings and email. Even 20 minutes. You’d be amazed what you can bap out in a focused 20-minute block of time. Try it. 6) An ally in creation is an ally in promotion: Josh Bernoff, author and tell-it-like-it-is writing expert, talked about collaborating to create content because this gives you an automatic ally in promoting it. Smart approach. 5) Never bring an opinion to a data fight: From Andy Crestodina’s Google Analytics workshop comes this gem, an ode to everyone who’s ever sat in a meeting with someone touting his or her opinion, complete with zero data to back it up. 4) More content is not necessarily better: Throw away those notions of blogging every day or sending a daily email. Matt Heinz of Heinz Marketing argues that perhaps more content doesn’t mean better content. We should aim for higher quality content. You don’t need 1000 blog posts—you need 100 good ones. 3) Don’t just look for stories—look for ways to retell those stories to new audiences: GE’s CMO Linda Boff gave some great examples of how the company is telling its stories in different ways. So, our job goes beyond unearthing the story—we need to get creative about how to tell the same story in different ways that resonant with new audiences. 2) Get consumers to move beyond loyalty: I’ve looked forward to seeing author and consultant Mark Schaefer present in person for a long time now. He didn’t disappoint. In his talk, he advised that brands now need to get consumers to move beyond loyalty to love. They need to ignite that passion in buyers, who now care not only about the product itself but about the hands that make the product. So, use the people behind the product to help tell the story. 1) Cut through the BS, Casey Neistat style: I must admit that I didn’t know who Casey Neistat was until I googled him (of course, my 15-year-old son knew). But his presentation packed a punch. It stuck with me. He was so real and so inspiring. If we could bring even a little of that energy and fresh thinking into our day-to-day work, we’d be better for it. 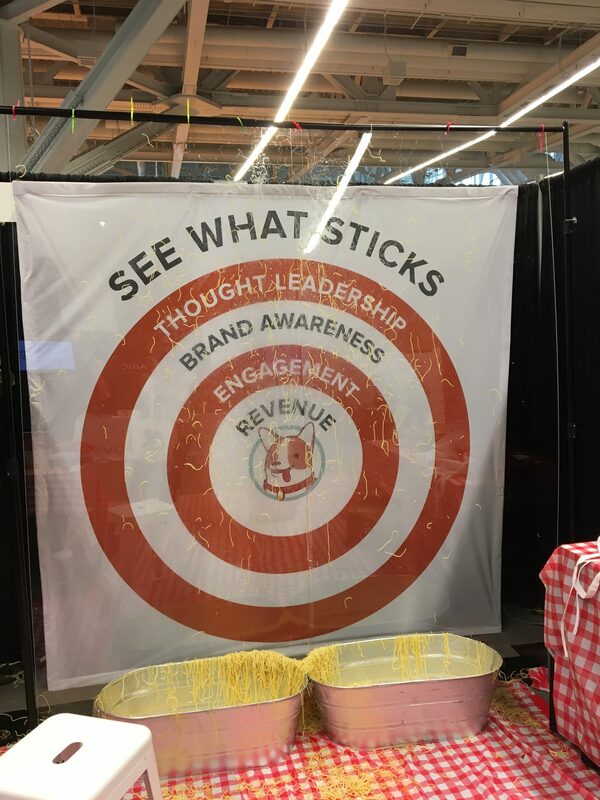 I’m already dreaming about next year’s #CMWorld conference back in Cleveland, Sept. 4-7, 2018. See you there? Terrific post, Michelle. Some simple and thoughtful lessons gained from the best in the biz. I missed this year’s event but hope to be back in 2018. Thank you so much, Peter! It is such a great event. If you do go, I’d love to say hi in person!